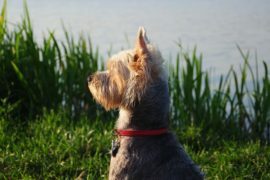 What’s Better for Your Dog? Crate Training or a Pet Gate? The energy of a puppy seems to have no limits. If you’ve ever trained a pup, you understand the necessity of a watchful eye at all times of the day; making sure the wires remain unchewed, the cat litter remains untouched and the couch remains accident-free. But even the most attentive owners will recognize that sometimes you need an extra tool when training their dog. 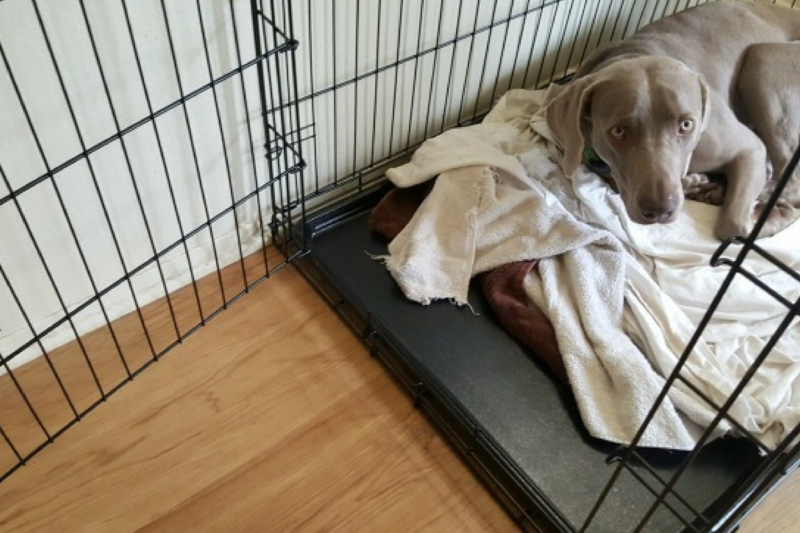 Common methods to keep your pup contained involve training with crates or training with barriers, such as pet gates. But which method should you choose? 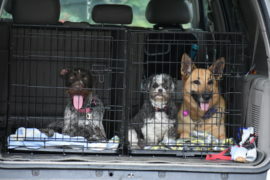 Here are ways to determine whether a pet crate or a dog gate would be more effective. If your dog is in the stage where they chew on everything, crate training may be a more beneficial route to take. A crate provides a safe environment that is completely free of any surface to chew on that could potentially be dangerous to your pet. 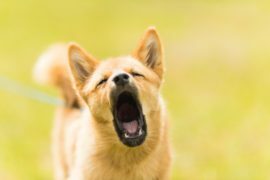 While using a pet gate may narrow down their options of things to chew on, puppies are notorious for getting creative with what they nibble on- whether it be shoes or drywall. Crate training is also more effective at potty training. Puppies tend to avoid going to the bathroom where they sleep. Meaning you can keep them in a crate for a short period of time and have less accidents then what you would in a gated area. 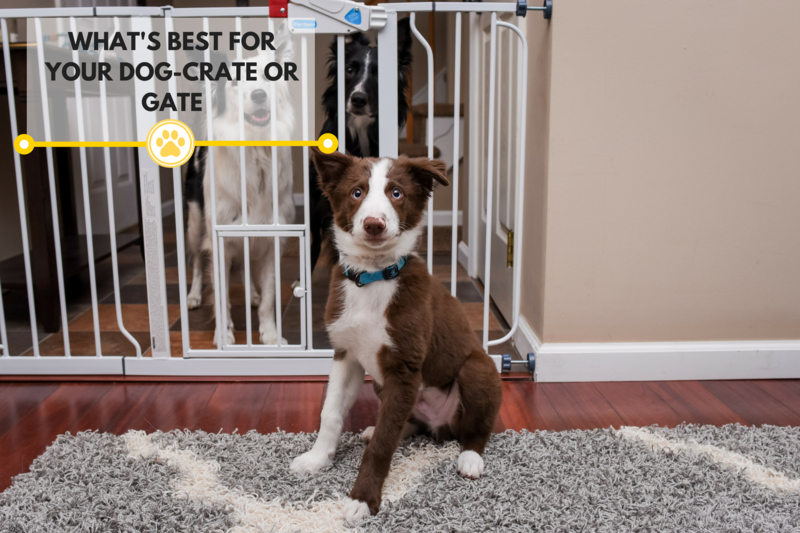 Pet gates are ideal for pups who are in the next phase of potty training. By using a pet gate, you can still keep them contained by closing off a certain area, but still allow them freedom to roam around. Using a pet gate is also effective for training a dog to stay out of a certain room. Gates with smaller pet doors are great for owners who want to keep the dog out of the litter room. The dog stays out, while the cat passes through. You can also use a pet gate to help prevent your pup from getting overly excited when visitors stop by. A gate to block your entry way is a great way to train our dog to calm down before greeting a visitor. 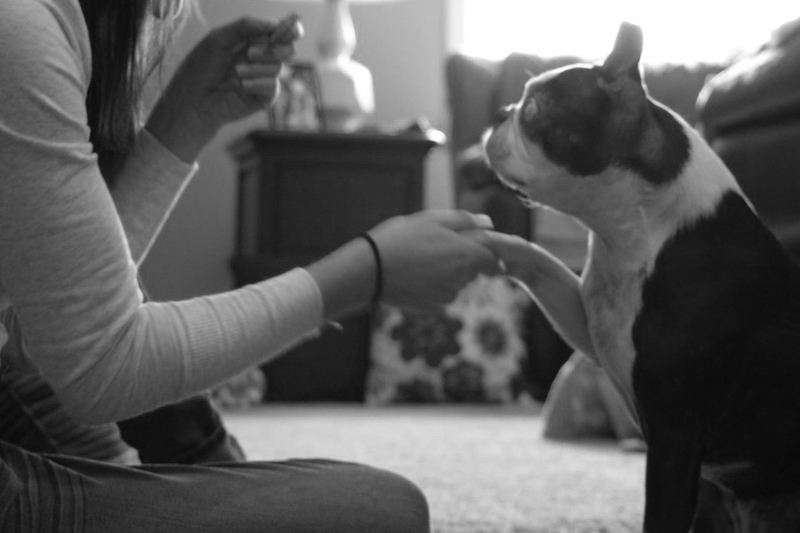 No matter which method you choose to contain your pup, never use confinement as a punishment- this will only cause them to have negative feelings when contained, making it more difficult for the both of you.